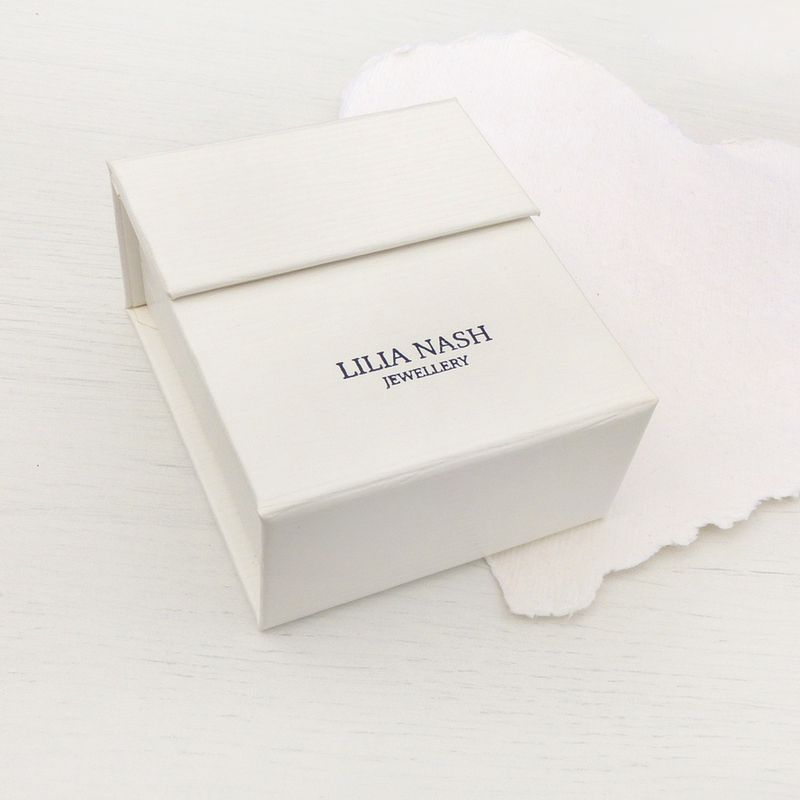 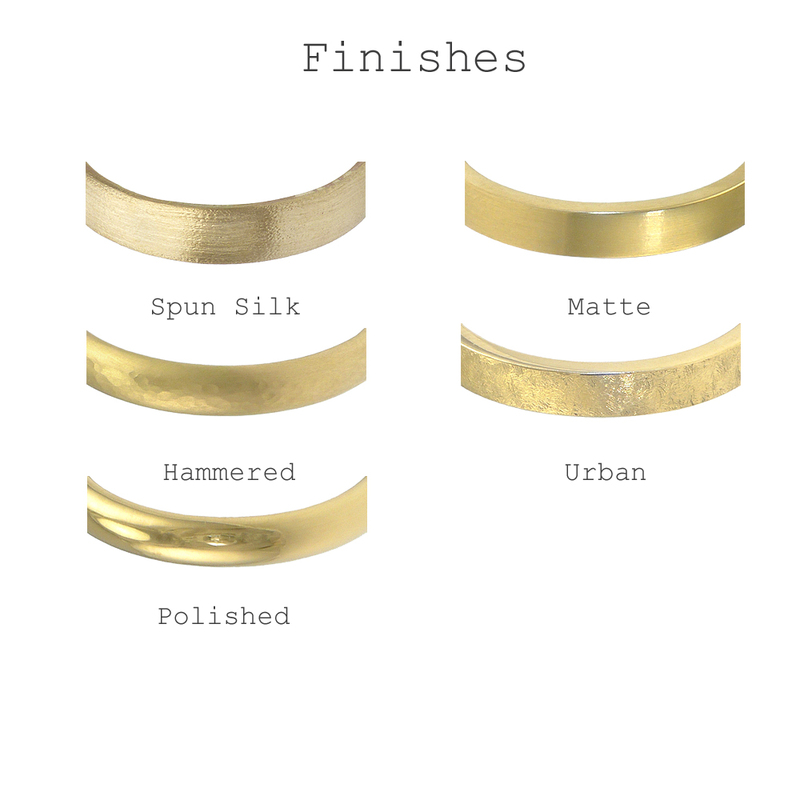 The Lilia Nash Trinity Wedding Ring features 3 different ethical golds to create an eye-catching alternative to a traditional wedding ring – and can also be worn on any other finger as a decorative rolling ring. 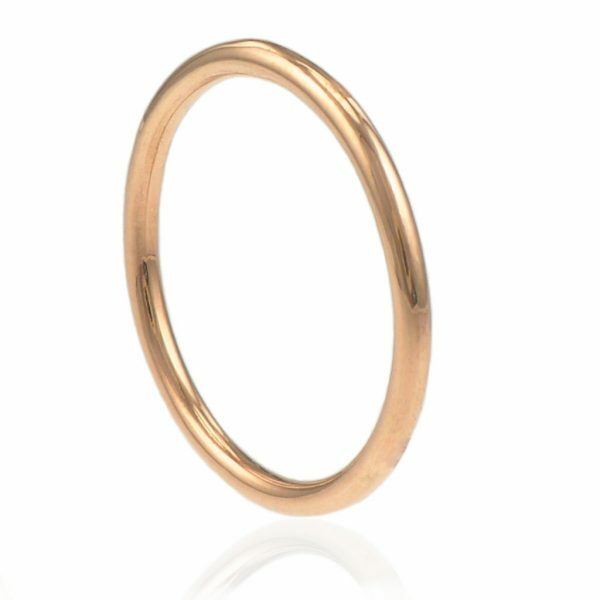 The three rings interlock inseparably in a free-moving rolling ring style, with 18ct gold, rose gold and white gold dainty bands creating a single, thicker wedding ring. 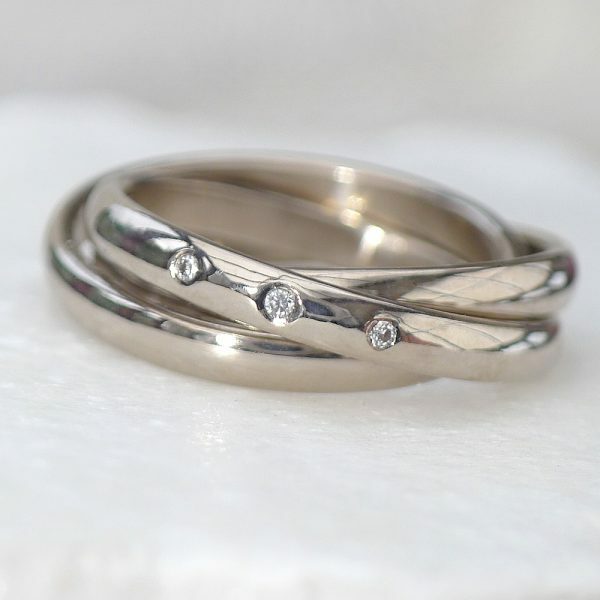 Russian wedding rings like Lilia’s Trinity Ring are the ideal choice as an alternative to a plain, traditional band. 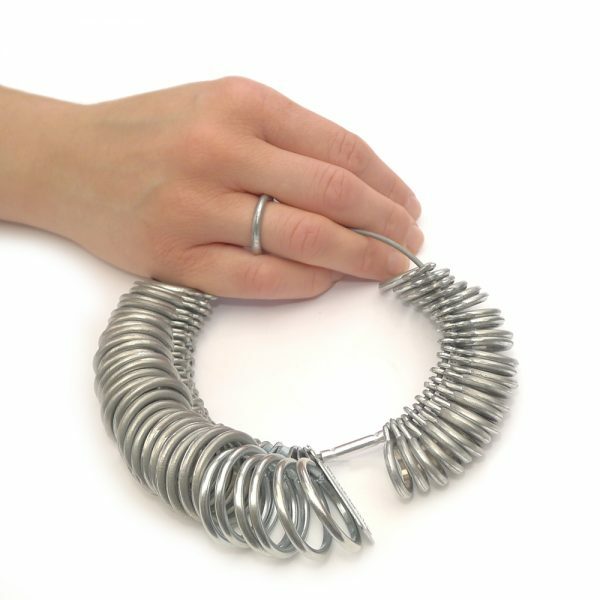 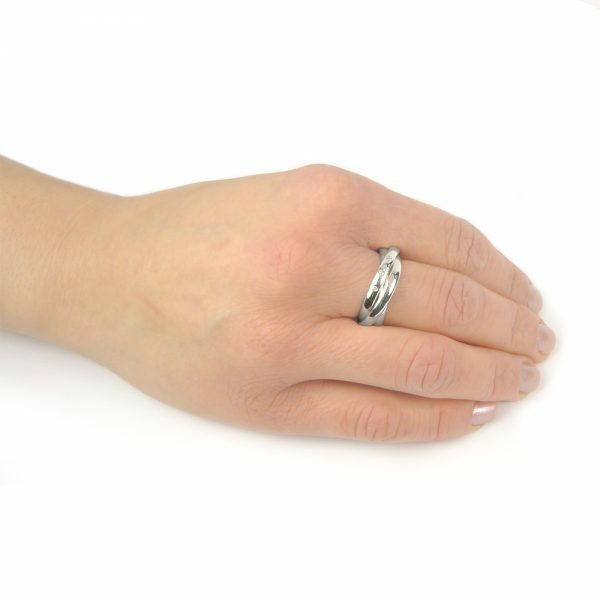 They also make more of a statement if you don’t wish to continue wearing an engagement ring every day. 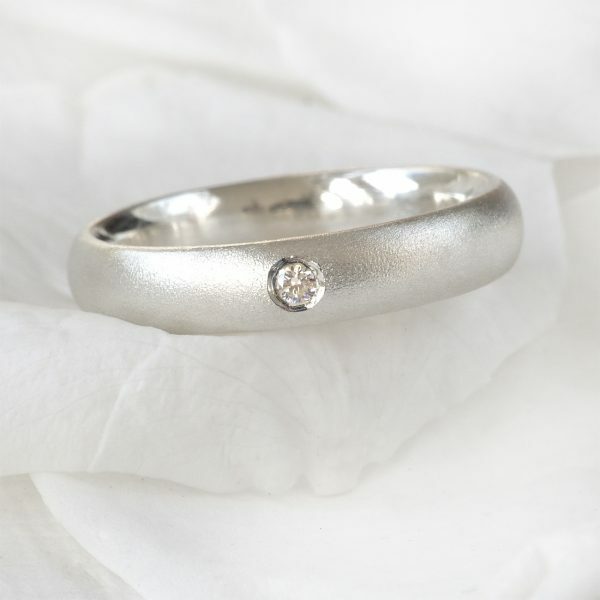 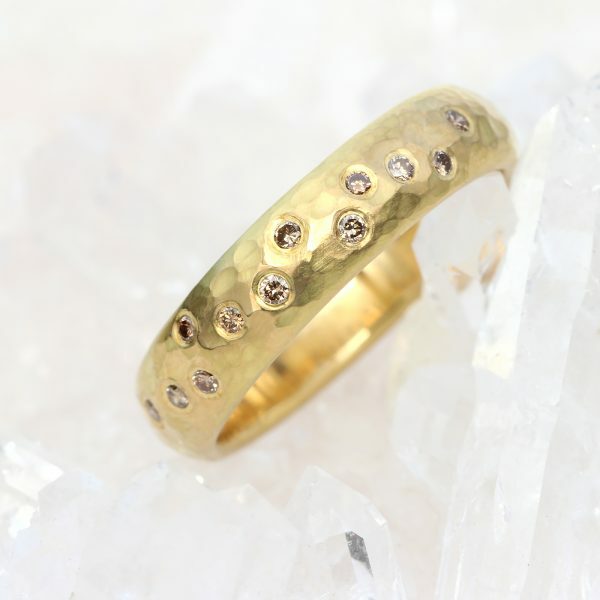 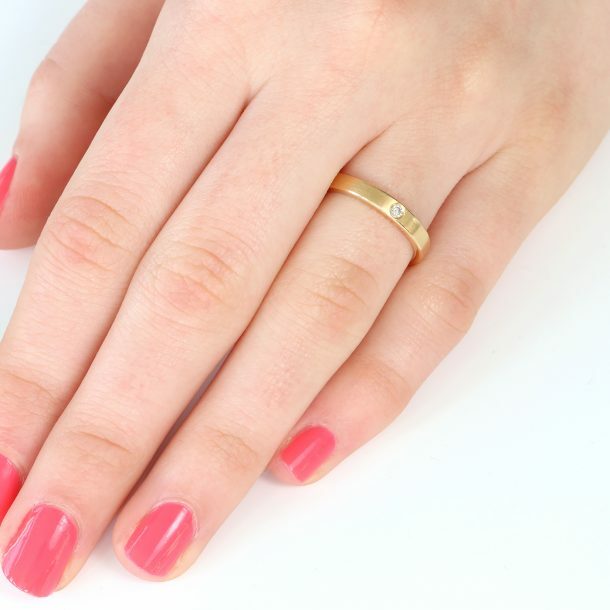 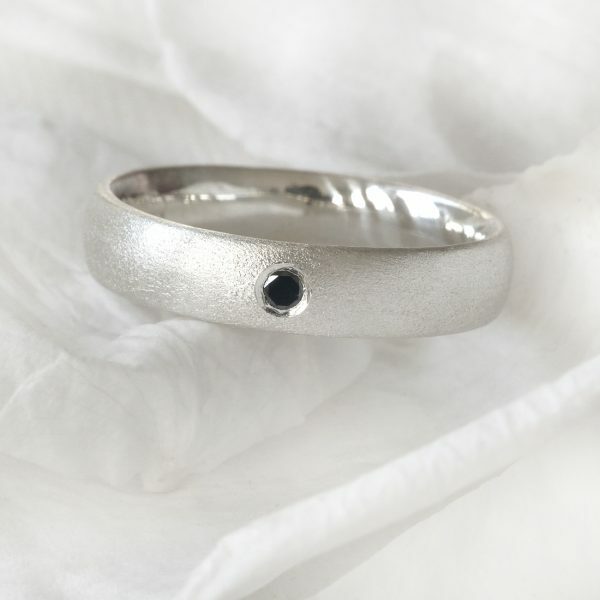 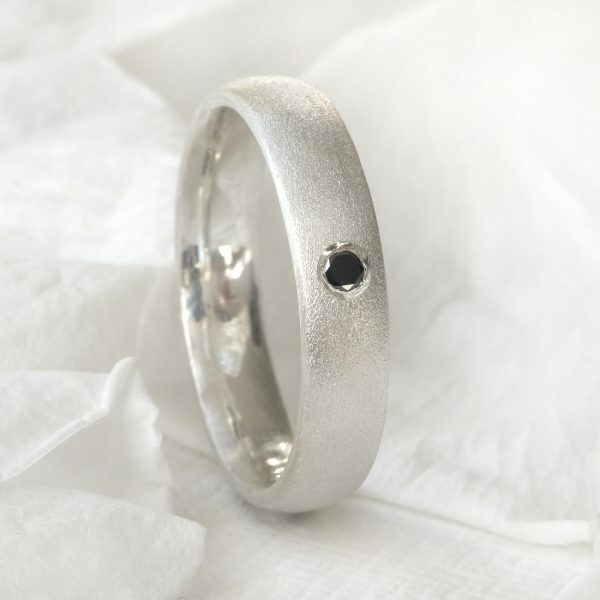 Want to order this ring in a single colour of 18ct gold or platinum? 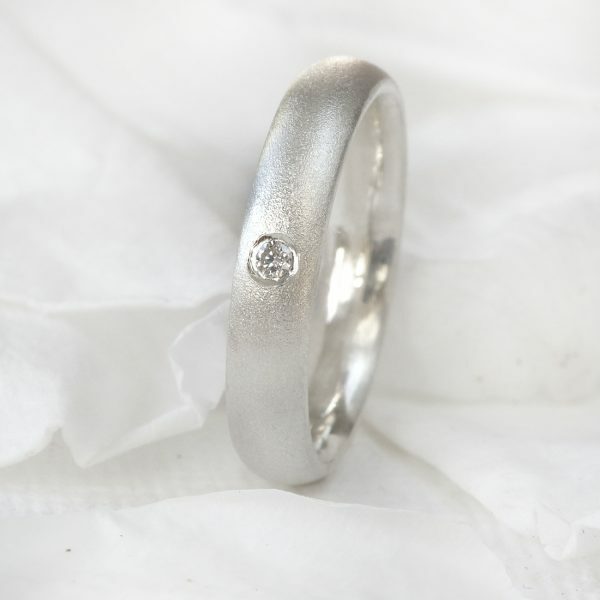 Contact us with more details. 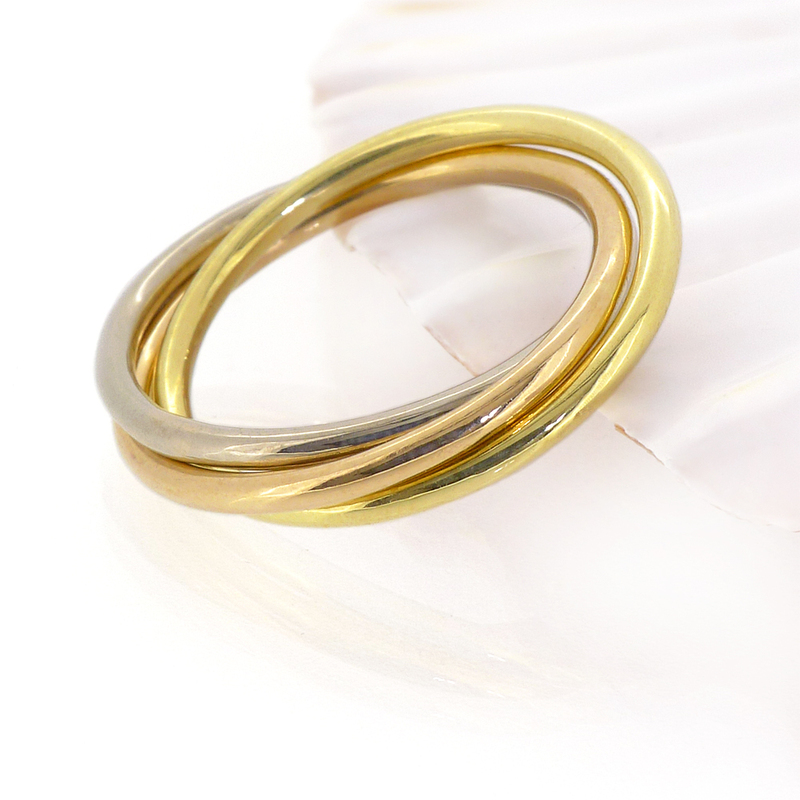 Our trinity wedding ring features three slim, 1.5mm halo profile 18ct gold wedding bands bound together as one ring. 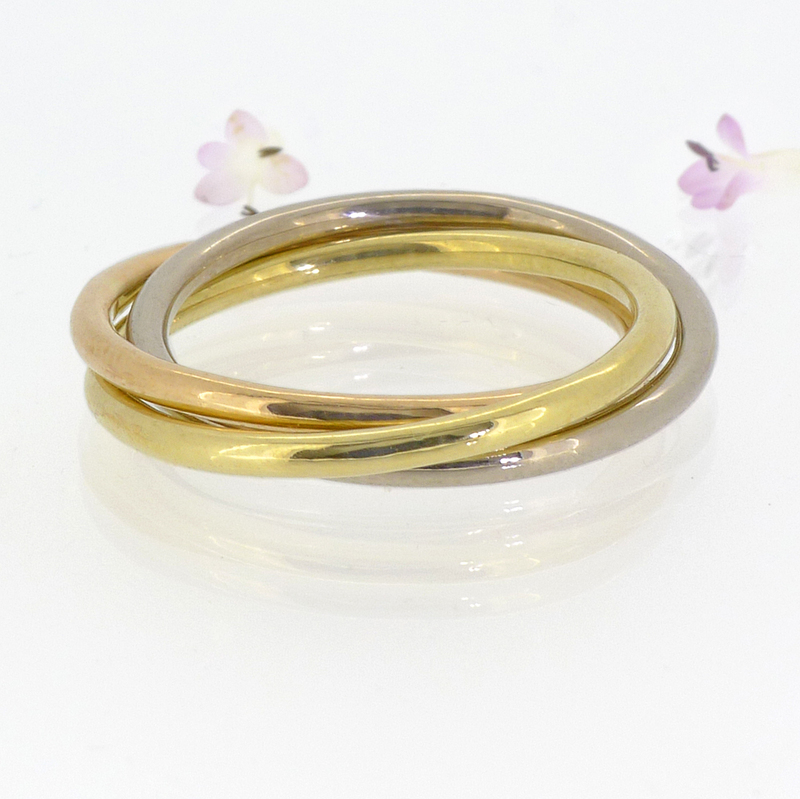 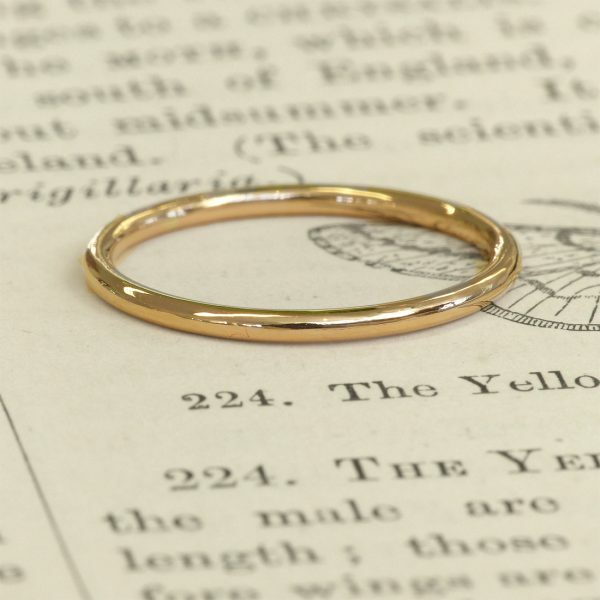 The three gold wedding rings are handcrafted from recycled 18ct white gold, rose gold and yellow gold. 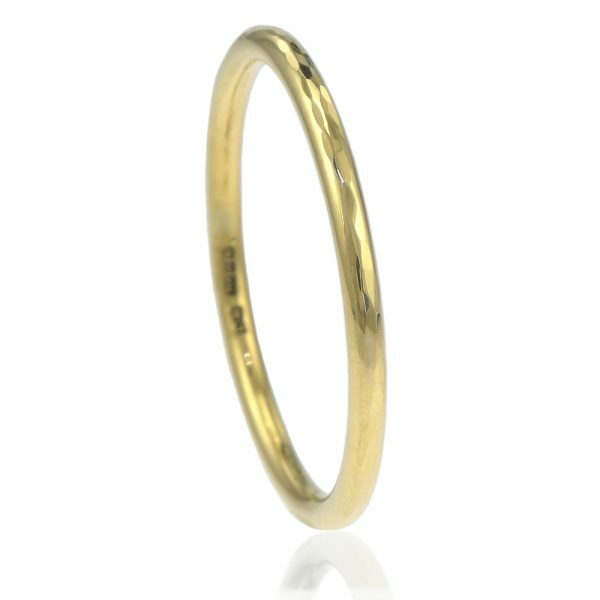 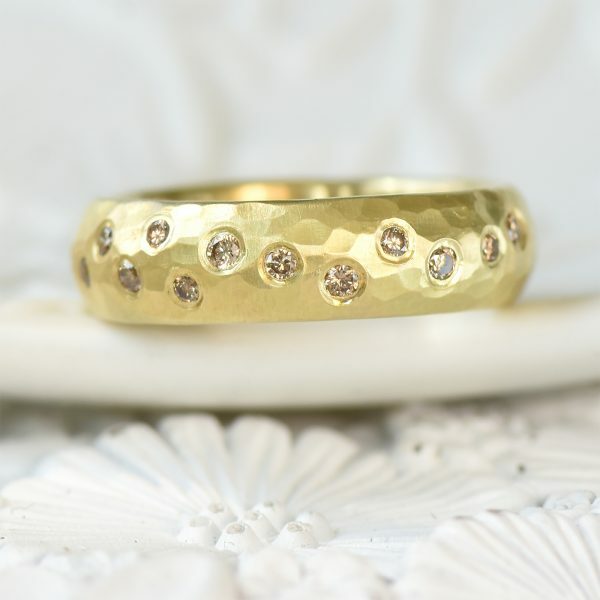 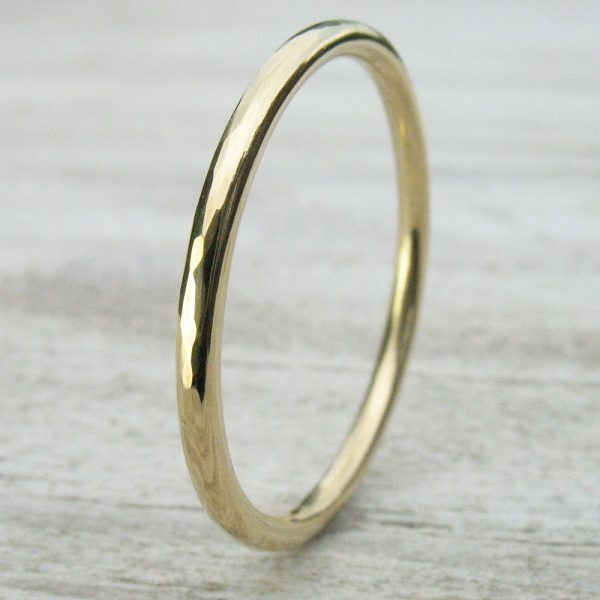 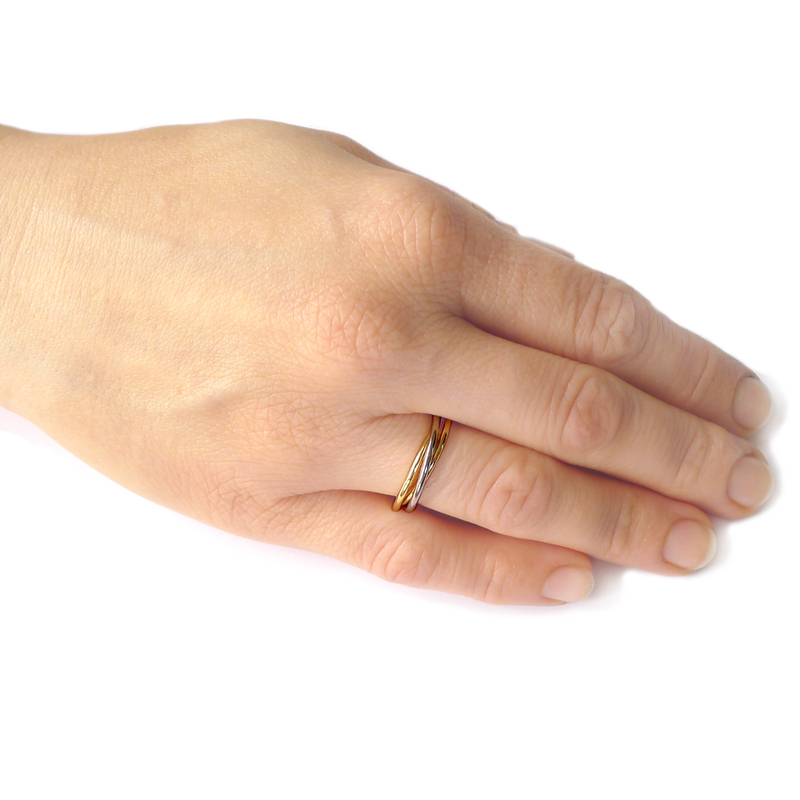 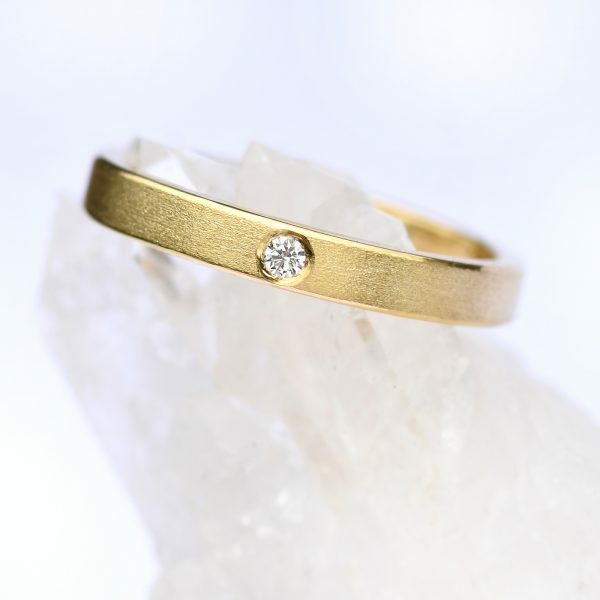 Also known as a Russian wedding ring, the trinity ring makes a stunning wedding band.